You Are Here: Home > 2019 INFINITI Q60 vs 2019 INFINITI Q50 | What’s the Difference? 2019 INFINITI Q60 vs 2019 INFINITI Q50 | What’s the Difference? Both the INFINITI Q60 and Q50 models have been upgraded to some degree over the past couple of years, so interested shoppers will want to check out the recent revisions. The main difference between the Q60 and Q50 is the body style. The former is a three-row SUV and the latter is a luxury sedan. Below, the specs and features of both models are detailed further. The three-row crossover 2019 INFINITI Q60 is powered by a 3.5L V6 rated at 295 horsepower. That’s plenty to get this big machine up and running at freeway speed. Transmission is continuously variable, and buyers have the choice of front- or all-wheel drive. Acceleration is better than average, and once up to cruising speed, the engine performs effortlessly. Suspension is soft, and cornering is a breeze. Braking distance is shorter than average for this vehicle class. The 2019 INFINITI Q50 can be purchased with either a four-cylinder or V6 engine. The former produces a total of 208 horsepower, and the V6 is rated at 300 horsepower. Buyers who choose the Red Sport 400 version get a more powerful V6 rated at 400 horsepower. Rear-wheel drive is standard on the Q50, and the standard transmission is seven-speed automatic. The Q50 is available with Direct Adaptive Steering via the ProActive package. Acceleration is superb, and there’s very little turbo lag. The 2019 INFINITI Q60 comes in two trims, the base Pure, the uplevel Luxe. The Pure trim boasts a sunroof, simulated leather upholstery, and tri-zone automatic climate control. The front seats are heated and power-adjustable. The split-folding third row is easily accessible. High-tech goodies include an 8-inch central display screen and a six-speaker sound system with satellite radio. The Luxe trim adds on driver memory settings, a heated steering wheel, and a 13-speaker Bose sound system. Various packages are available, and these add on leather upholstery, a rear seating area entertainment system, and a 360-degree parking camera. The 2019 Q50 sedan is available in four trims, and they’re designated according to engine size. The base models come with power-adjustable front seats, simulated leather upholstery, dual-zone climate control, and the InTouch interface with its dual screen displays. The uplevel trims feature heated front sport seats, leather upholstery, a 16-speaker Bose stereo, and a surround-view camera. Both of these models rank high in safety advancements. The INFINITI Q60 and Q50 both have antilock brakes, stability and traction control, a full set of airbags, and standard forward collision warning with automatic braking. The Q50’s ProActive package is available on the 3.0t Sport and Red Sport 400 and includes adaptive headlights, automatic high beams, lane departure warning, and blind-spot warning. Also included is stop-and-go adaptive cruise control. These are two well-rounded luxury models from INFINITI. If you want a nicely designed three-row SUV, check out the 2019 Q60. If a luxury sedan is on your shopping list, take a close look at the 2019 Q50. 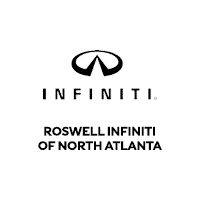 Contact Roswell INFINITI to schedule your personal inspection and test drive.